author in the world to communicate results of weight loss at six months of evolution with APOLLO. ∙ Endobarrier. Indicated mainly when the obesity is associated to Type II diabetes or Metabolic Syndrome. Speaker at national and international conferences. Proctorships in Bariatric Endoscopy Techniques. (International Federation for the Surgery of Obesity and Metabolic Disorders). 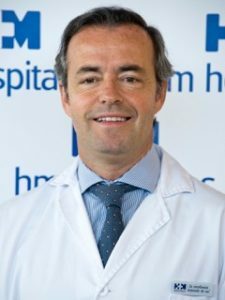 Professor of Medicine at San Pablo CEU University, Madrid, Spain.